Tuesday-Friday 9:00 a.m.- 5:00 p.m.
Saturday 9:00 a.m.- 3:00 p.m.
Alfred’s Carpet & Decorating is a locally owned and operated floor covering store. Their experience and knowledge in the industry, as well as extensive inventory is sure to fulfill all of you decorating needs and desires. From choosing the right material to having it professionally installed, Alfred’s Carpet & Decorating is happy to assist you and ensure the job is done correctly. Monday-Wednesday 9:30 a.m.- 5:00 p.m.
Thursday 9:30 a.m.- 7:00 p.m.
Friday-Saturday 9:30 a.m.- 5:00 p.m.
American Country Home Store offers a wide selection of cottage style solid pine furniture painted or stained in over 20 color combinations made in the USA. slipcovered sofas, wicker furniture, outdoor patio furniture, rugs, bedding and home decor. Stop by or visit their website to find new additions for your home! Monday-Saturday 9:00 a.m.- 5:30 p.m.
Thursday 9:00 a.m.- 7:00 p.m.
With 5 in-store designers and goldsmiths, the artists at Ames Silversmithing create beautiful jewelry to touch the heart and soul. The designs at Ames Silversmithing range from contemporary to classic and are created using gold, silver or platinum. In addition, Ames Silversmithing offers the most outstanding selection of diamonds, colored stones and cultured pearls in the midwest. Monday- Wednesday: 10:00- 6:00 p.m. Since 2002, Ames Tile has been committed to creating lasting quality. We now feature a brand new retail showroom at 115 Main Street in downtown Ames, IA. We offer one of the largest selections of high quality tile, stone and hardwood flooring in the area. We are a full service dealer featuring all of the necessary installation materials. We can provide expert installation services with our well trained staff or help guide you through the process yourself. The staff at Ames Tile enjoys developing relationships with our customers and helping their imaginations come to life. Walk-ins welcome or give us a call to set up an appointment for a more tailored experience. Brown's is a locally-owned shoe store that specializes in providing individual attention to each customer to help with shoe needs for every occasion. We specialize in celebrations of all sizes…holiday and family functions, corporate and business parties, special events, weddings and receptions. From custom decor to party supplies, we’ve got you covered! Celebrations Party and Rental was started in September 2003. 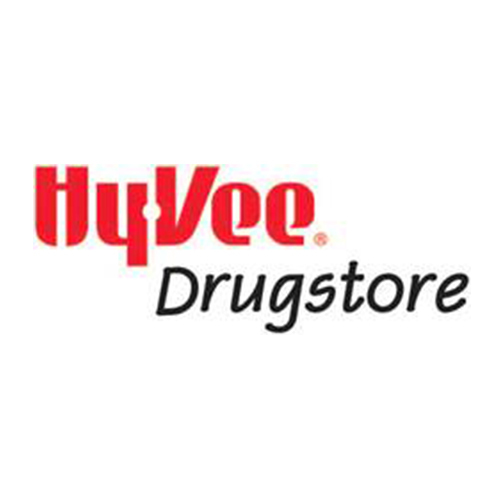 The Taylor family bought an existing party and rental store in Boone, Iowa and quickly added more and more inventory to become what we are today in 2015. Twelve years later we are based in Ames Iowa and also have a second location in West Des Moines, Iowa for the past 3 years. The owner Stephanie Taylor Burnett is very proud of our customer service record and takes great pride in our dedication to customer service. We continue to expand our rental inventory each year and yet maintain our rentals in quality shape. We continue to be very competitive price-wise and selection-wise but we still care about our customers like a family owned business. Many of our staff have been with us for a number of years and are very proud of the great service they give our customers. Our Ames location has a large party and gift selection and we are very willing to accommodate special orders when available. Come check us out today! Tuesday-Friday 10:00 a.m.- 5:30 p.m.
Chester's is a locally owned and operated business located in Ames, Iowa. They buy, sell, trade and appraise rare coins, currency, and gold and silver bullion. Chester's also specializes in beer and wine making supplies. Monday-Wednesday 8:30 a.m.- 7:00 p.m.
Thursday-Saturday 8:30 a.m.- 8:00 p.m. Walk in and be tempted by over 40 varieties of European chocolate bonbons, gelato, cookies and more. Enjoy the atmosphere of this unique chocolate and full-service coffee shop. Maybe you want to play the baby grand! Monday-Wednesday 9:30 a.m.- 6:00 p.m.
Thursday 9:30 a.m.- 8:00 p.m.
Saturday 9:30 a.m.- 5:00 p.m.
Cook's Emporium offers a wide selection of kitchenware to meet your cooking needs. Whether you are a talented chef or a cooking amateur; Cook's Emporium has the tools and utensils you are looking for. Cooking Demonstrations are hosted from mid-September through May. Classes are $5.00 and are taught by local food enthusiasts and chefs. You not only get to taste the food that has been prepared, but go home with the recipe and a 10% discount coupon as well! Visit www.cooksemporiumames.com for more information. Monday - Friday 9:30 a.m. - 5:00 p.m. Discover a unique jewelry and gift boutique! 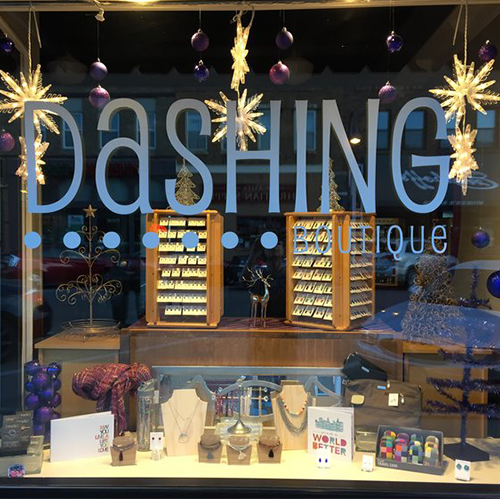 Dashing Boutique is your destination for jewelry, accessories, gifts and more - for yourself or for loved ones. The boutique has a wonderful selection of jewelry including sterling silver, fashion jewelry, freshwater pearls as well as purses, wallets and more. Dashing Boutique also offers custom jewelry repair, re-stringing, hand-knotting and custom jewelry. Dash in for unique items at affordable prices. Monday-Wednesday 10:00 a.m.- 7:00 p.m.
Thursday: 10:00 a.m.- 8:00 p.m.
Friday 10:00 a.m.- 7:00 p.m.
Saturday 1:00 p.m.- 5:00 p.m. Note: On Saturdays when the Farmer's Market will take place on Main Street, Duck Worth Wearing will open its doors from 9:00 a.m.- 5:00 p.m. Duck Worth Wearing is our children's and maternity resale store located at 232 Main St. We carry quality items and clothes for newborn through tween sizes and maternity. Along with consigned items we also carry the largest Melissa and Doug Educational Toys selection in Central Iowa. 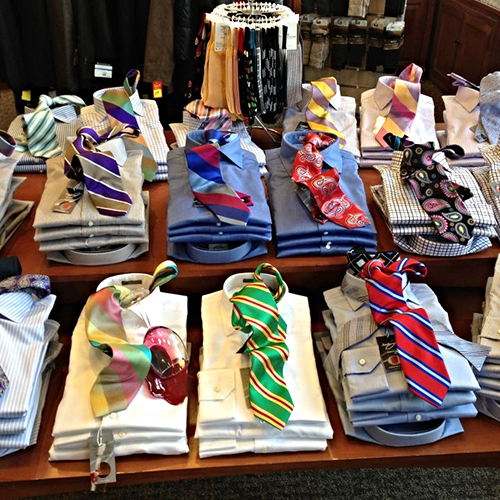 We carry brand new bows and headbands, watches, and sunglasses too! Consignment is easy as there is no appointment necessary. We can take up to 50 clothing items at a time and as many books and toys as your car can handle. We do not take consignment on Sundays but otherwise, any other day we will go through your items while you wait! We look forward to having you shop smart and local! Save money and make money all at the same time! Monday-Friday 8:30 a.m.- 5:30 p.m.
Saturday 8:30 a.m.- 5:00 p.m.
Monday-Saturday 8:30 a.m.- 5:00 p.m.
Everts Flowers, Home & Gifts, established in 1922; is the longest, locally operated flower shop in Ames. We are conveniently located in the Ames downtown cultural district at 329 Main Street. The tradition of quality and service has continued because of our attention to detail and our experienced award winning designers. Quality is maintained through daily shipments of fresh flowers often hand selected by the owner/designer; from simple daisies and roses to exotic and unusual. Everts offers one of the largest selections of high quality permanent florals, berries and other floral accessories in the state. Everts also offers a wonderful selection of gift items including unique wall art, decorative pottery, crystal vases and bowls, specialty hand milled soaps and lotions and many other interior gift lines. Everts offers gourmet foods in addition to Abdallah chocolates. Let Everts be your first choice for flowers and gifts. We will exceed your expectations with quality and style. Monday 12:00 p.m.- 5:30 p.m.
Gilger Designs is one of Ames, Iowa’s premiere jewelry stores and is known in the community for their talent and passion for jewelry, art, and design. Gilger’s is well known for being able to take old jewelry that people are unhappy with and transforming it into magnificent works of art! Tuesday-Saturday 11:00 a.m.- 9:00 p.m.
Sunday 12:00 p.m.- 6:00 p.m. Looking for a place to get that first tattoo and/or piercing? Or maybe you are in the mood for new ink and additional jewelry. With 6 full-time artists, Heroic Ink prides itself on the amount of custom tattoo art they generate. If you are looking for the best that the industry has to offer, Heroic Ink is the place to go! Heroic Ink also has high standards when it comes to piercing.Their staff practices modern techniques and offer a superior jewelry selection of quality materials. With a focus on artistic expression and technical ability, you will not be disappointed! Monday-Friday 7:00 a.m.- 8:00 p.m.
Sunday 10:00 a.m.- 4 p.m.
Lindsey Loo's is a fun hodge podge of new, consigned, re-purposed, and one of a kind items. Tuesday-Wednesday 10:00 a.m.- 5:00 p.m.
Thursday 10:00 a.m.- 7:00 p.m.
Friday-Saturday 10:00 a.m.- 5:00 p.m.
We are located downtown Ames, IA, one block north of Main Street on the corner of 5th and Clark. Miss Meyer's Clothing Consignment features adult women's clothing & accessories that are current, clean, & cute! We accept all consignment by appointment, according to season. Give us a call, check out our website, or stop in the store for more information! Monday-Wednesday 9:30 a.m.- 5:30 p.m.
Friday 9:30 a.m.- 5:30 p.m.
Moorman Clothiers offers a wide variety of high quality apparel for both men and women. Whether you need a pair of trousers hemmed, forgot to order your tuxedo and do so at the last minute, or need your suit altered -- not a problem: Moorman Clothiers is there for you. Tailoring products for the life of the garment at no charge is a prime example of the "above and beyond" services available at Moorman Clothiers. Monday-Friday 10:00 a.m.- 5:30 p.m.
Thursday- 10:00 a.m.- 7:00 p.m.
Saturday- 10:00 a.m.- 5:00 p.m.
Monday-Friday 9:30 a.m.- 5:30 p.m. Most of us have thousands of pictures lying around collecting dust, and most likely fading away. You know you want to do something with them but the job seems overwhelming and you just don’t know where to start. Photosynthesis is the place to go! Their services allow you to preserve photos, customize cards, gifts, photobooks and more. Photosynthesis understands how valuable your photos and memories are to you. Quilting Connection offers a wide selection of fabric, quilting kits and gift ideas. Various classes are offered throughout the year to help perfect your quilting and sewing skills. For those who share the passion or interest for quilting -- join the Club! Every first Monday of the month, join Quilting Connection for a different topic or technique to add to your toolkit. New, used, vintage, and ridiculous! Random goods offers new costumes and costume accessories for your theme parties, clothing, purses, jewelry, accessories, shoes, furniture, housewares, books, movies, and much more! A funky store with a fun atmosphere! Not your usual resale store! Monday-Saturday 10:00 a.m.- 6:00 p.m.
Thursday 10:00 a.m.- 8:00 p.m. Skunk River Cycles is Iowa's favorite full-line bicycle dealer. We offer Cannondale, Raleigh, Schwinn, Marin and Surly bicycles. In addition to the best bicycles in the area, we also sell Schwinn Fitness Equipment, rent and sell Fischer cross-country skis and offer a complete selection of cycling apparel. We also provide service for any year, make or model bicycle. With over 75 years of combined experience, Skunk River Cycles offers you a wide selection of bicycles and fitness equipment. Skunk River Cycles has bikes for everyone! Feel free to stop in, call or email us with your bicycle questions or needs. Note: During the Summer, The Loft will be open Saturdays from 9:00 a.m. to 5:00 p.m. for the Farmer's Market. The Loft is quality resale at it's best for teens through adults of all ages located at the corner of Kellogg and Main. We have something for everyone including men! " Today's fashions at affordable prices" is our motto. We carry homecoming and prom dresses and sizes for everyone from 00 to plus size. We carry brand new jewelry to accent your new wardrobe as well as new scarves and sunglasses! We carry designer jeans and purses. Consignment is easy too! No appointment is necessary! Come in at your convenience. We can take up to 25 items at a time and go through them while you wait! We do not take consignment on Sundays. We look forward to having you shop smart and local! Save money and make money all at the same time! Monday & Thursday 9:00 a.m.- 7:00 p.m.
Tuesday, Wednesday & Friday 9:00 a.m.- 6:00 p.m.
Sunday 12:00 p.m.- 4:00 p.m. Treats on a Leash is a dog bakery and a pet specialty store featuring natural health foods for dogs & cats and many treats, as well as unique, fun pet items and gift items for pet lovers. Leashed pets are more than welcome in this fun and friendly place. So take a walk on Main Street and bring your pet along! 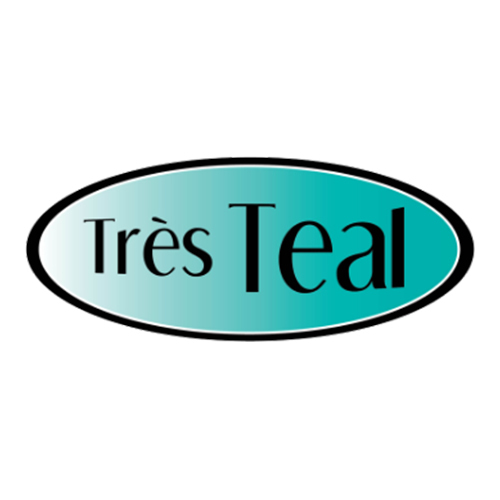 Monday-Wednesday 10:00 a.m.- 5:30 p.m.
Friday 10:00 a.m.- 5:30 p.m.
Très Teal is a women’s clothing boutique that provides fashionable women’s clothing, accessories and gifts for those who want to be stylish, original and support local business. The professional staff is in tune with individual needs and takes a personal approach in assisting each and every customer who walks in the door. Monday-Wednesday 10:00 a.m.- 6:00 p.m. Worldly Goods is a Fair Trade Shop that provides a marketplace for artisans of the world to receive a fair income, safe working conditions and the ability to support their families. Volunteers operate this not-for-profit organization and share the stories of the artisans. We have over 50 different countries represent under one roof. We offer unique gifts, home decor, clothing, jewelry, scarves, personal accessories, coffee, chocolate, and tea. Ames Sewing & Vacuum Inc. - 214 Main St.
Grey Elephant - 404 Main St.
Hoshaw Fine Violins - 218 Main St. It's All About Me - 209 Main St.
Main Street Magic - 330 Main St.
Swank's Jewelry - 319 Main St. The Frame Shop - 210 Main St. The Hobby Shop - 200 Main St. The Pumpkin Patch - 302 Main St.